Are you an electrician thinking about expanding your business? Do you need an extra pair of hands? 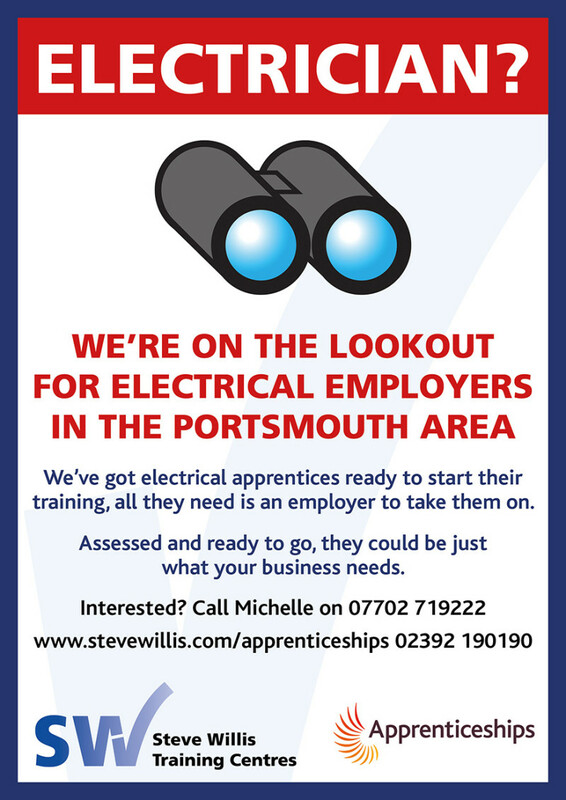 An electrical apprentice could be just what you need. We have a pool of fantastic young people at our Portchester training centre looking for an employer like you to take them on. They have already passed their initial assessments, and are keen to learn and ready to start their electrical careers. At Steve Willis Training we work with employers throughout the apprenticeship process, from matching you to a suitable apprentice for your business to providing feedback and support throughout the training programme. And there’s government funding available, to cover much of the costs.